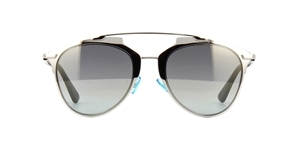 Dior CD Reflected EEIOH - LIght Gold/Azure blue Gold flash mirror lenses. A flat fronted design ,a mix of metal frame and acetate covered metal frames. Minimal logo, and made from the finest Italian acetate and metal, the sunglasses are a real statement. All the sunglasses come with their own branded case,cloth and packaging. The Dior Reflected sunglasses are covered by the 12 month no quibble sendoptics guarantee. 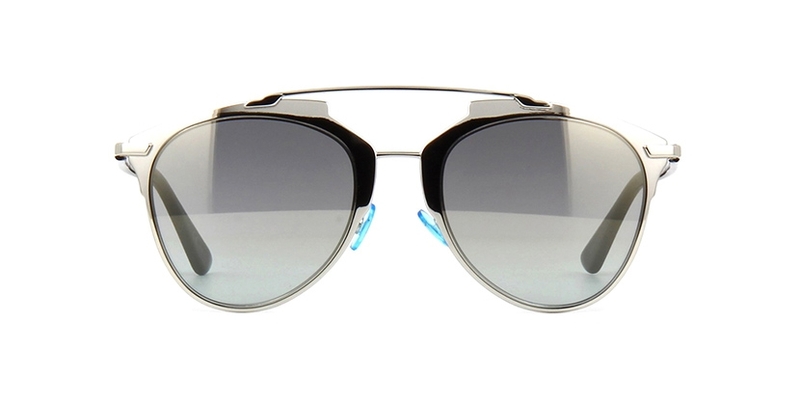 Dior Reflected 85L DC - Gunmetal metal frame with gunmetal mirror lenses.These flat fronted sunglasses are a mix of metal frame and white acetate covered metal arms superior design with a double bridge design.